The latest issue of ESPE NEWS is now available. 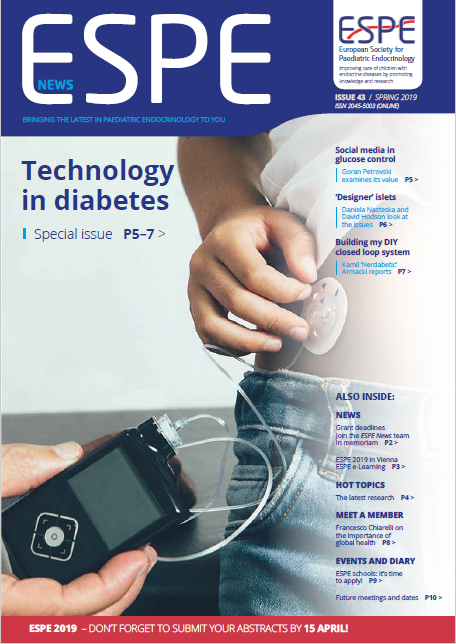 The theme of this issue is Diabetes Technology and it includes features on: Social media in glucose control, 'Designer' islets and Building a DIY closed loop system. Our Meet the Member section features an interview with Francesco Chiarelli and our Hot Topics summarise some of the latest research. You’ll also find news on ESPE 2019 in Vienna and other ESPE activities and deadlines.